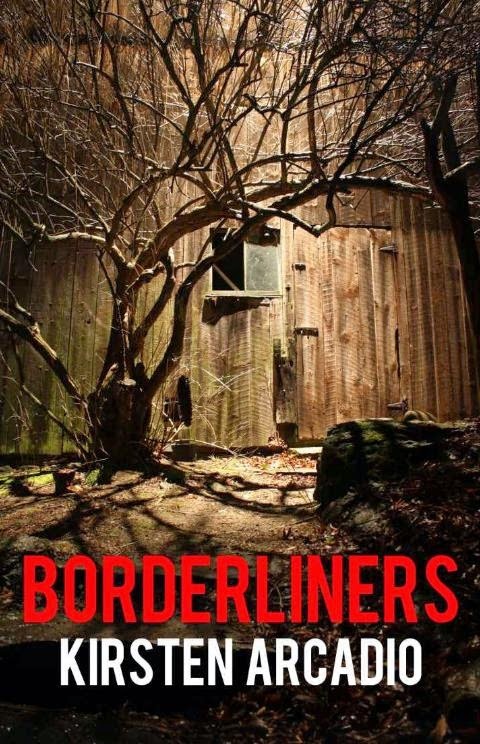 An Anglo-Italian, Elena Lewis, is the protagonist of the sci-fi-thriller The Borderliners Trilogy. Split Symmetry is the second book in the 3-book series. 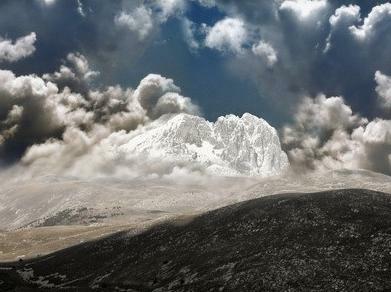 It is set in Italy on Gran Sasso, the mountain peak that rises above the Apennines mountain range. 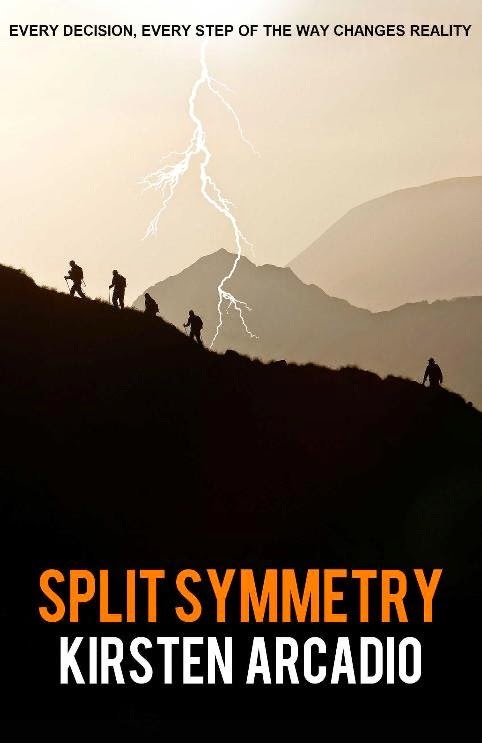 Thriller, adventure, a bit of romance and lots of science with a bit of fantasy thrown in for fun, makes Split Symmetry an entertaining read. We begin with our protagonist, 32-year-old Elena Lewis, an Anglo-Italian psychotherapist, who is in Italy's Abruzzo region. 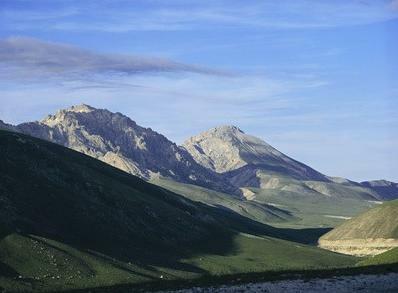 We quickly get the fist mention of the "split spectrum" which is at the very center of the Gran Sasso mountain range, where Elena and her hiking-for-charity group are heading. 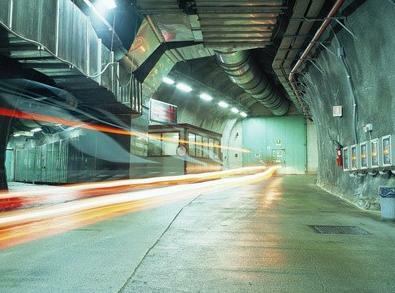 We are informed that particle physicists have a laboratory under the mountain range's largest peak. The stage is set, and there is a clear feeling of dread. Elena is a complex character, introduced in the first book in the series, Borderliners. We get a quick summary of her previous adventure, and a mention of Elena's ability to see into the future, and possibly to summon up spirits from the past. Elena is described as "a Marmite person", someone people either love or hate, just like the yeasty British spread, Marmite. She is strong, controlled, reticent, professional, and seemingly cold to people who don't know her. The story follows the hikers on the mountain, and the scientists under the mountain in the National Laboratories. The Italian scientists pride themselves on their very-Italian "unconventional methods and original thinking". They are hoping for a ground-breaking discovery that day, having to do with fluctuations in time. There are also hints that their experiments may have caused some recent earthquakes along the two fault lines that run near them. More interesting stage-setting! 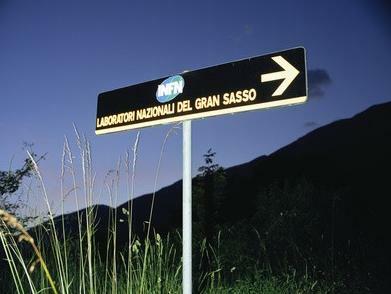 The entrance to the Gran Sasso laboratories. Yes, they do exist! The author moves us between the perspectives of a small group of characters to tell the story, which takes place all in one day. This is an effective way of letting us inside the heads of key characters, and of giving us a front row seat as the two storylines intersect, twisting reality. We are allowed to see how the odd events on the mountain are a trigger for the characters to reflect on their pasts. It was as if she were looking across timelines through distorted mirrors to versions of herself which weren't there. Just like life, reality shifted and twisted out of her grasp, as if to show her how little she knew and how small she was. Mother nature was laughing at her. The descriptions are very cinematic, bringing to the mind's eye images of the mountain, the quickly changing weather, the glimpses of climbers, the landslides. The adventure is greater than a mountain-climbing adventure, which is exciting in its own right. There are the earthquakes, the odd weather patterns, and the ripples in time for the climbers to deal with. Little wonder that they sometimes look for reasons for their suffering, wondering if fate really exists, and questioning why they have to suffer. Elena has another element to struggle with: her visions of the future. She must continually question the odd things she sees, trying to determine if they are in the here and now. She deals daily with ripples in time. ...the wind threw them down and rolled them across the ground like rag dolls. They were like the hollow men, no longer meaningful in this strange, new world; their souls, so definite and defined only moments before, now ripped to shreds and cast away into the gusting wind. When Dr Elena Lewis takes a group of friends on a charity hike in the Italian Apennine mountains the presence on the trip of her estranged patient, James, unsettles her from the start. But as the hike progresses and the weather closes in, she finds this is only the beginning of her problems. Book #2 of the best-selling Borderliners series, this other-worldly adventure which will keep you turning the pages to the very end! A girl is found dead in a notorious New Age shop on the edge of the woods. A Tarot card reading and a dream diary contain hidden warnings. A man is watching from the shadows of his room. When she moves to a village in the English heartland to set up a new psychotherapy practice, Dr Elena Lewis notices strange patterns of behaviour among the villagers. After a young woman is found dead, Elena is left in possession of a diary. What she reads there leads her to the door of her Julia, the leader of a group known locally as the Charismatic Community. As she investigates further, Elena meets a curious visitor to the village. He has a message for her, but in order to decipher it, she look beneath the surface and trust in her abilities to see what others cannot. In this page-turning thriller, Elena Lewis is thrown into a fight with unknown forces which bring her face to face with her deepest fears. Visit the author's website or join her on Twitter, Facebook, Google +. Check out Kirsten Arcadio’s blog.